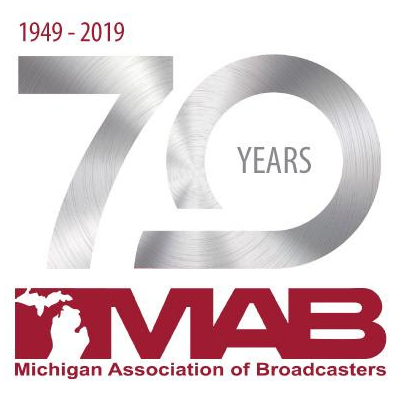 The Michigan Association of Broadcasters (MAB) presented its 2018 Lifetime Achievement Award and welcomed three other outstanding individuals into the Michigan Broadcasting Hall of Fame on Tuesday, August 14 at the Grand Hotel. The highest award given by the MAB, the Lifetime Achievement Award honors Michigan broadcast pioneers who have dedicated the majority of their professional careers to broadcasting in the state of Michigan and have distinguished themselves through a lifetime of service as a top manager or owner through excellence in broadcasting. Recipient of the Lifetime Achievement Award this year was Michael T. Walenta, formerly of WGVU Public Media (Grand Rapids). Inductees into the Hall of Fame this year were Bob Allison, WNZK-AM (Detroit); Sheri Jones, WLNS-TV (Lansing); and Pete Bowers, WBFH-FM (Bloomfield Hills). Read more on this year’s Lifetime Achievement Award recipient and Hall of Fame inductees here.